The YipTel HIPAA Compliant, Video Solution enables Doctors and medical professionals to consult their patients in billable environments. Below lists our various features and deployment methods that come along with this revolutionary service. The truth is, video solutions are quickly becoming a commodity for medical establishments to operate with for numerous beneficial reasons. Our core focus emphasizes consolidating and streamlining the ‘Doctor/Patient’ utilization of video, voice, and internet with one simple monthly rate. As video can often times be an expensive investment, we conveniently offer the service without the high costs of equipment ownership, maintenance, and management. Words or an email only delivers about 7% of intended communication. If you use the phone you add another 38 % but body language adds 55% and that is why video services are so critical in internal and external communications. YipTel is a proven leader in the market when it comes specifically to delivery of video technologies. We guarantee an increase of productivity while still reducing costs and improving communications. With the increase in bandwidth availability and the need to communicate faster and more efficiently, Video calling and Video solutions are growing exponentially. These services, under complete adherence to HIPAA compliance, allow Doctors and other professionals to bill their patients over completely secure video communication methodolgies. YipTel is the first carrier to deliver a presence-aware global directory that integrates Facebook, Skype, and Google Talk contacts. This enables you to IM your contacts to join a secure impromptu meeting. 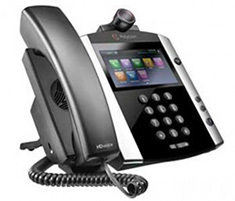 YipTel is also unique in its ability to connect to existing video systems including Polycom, Cisco, Tandberg, LifeSize, and other H323 and SIP standard devices. 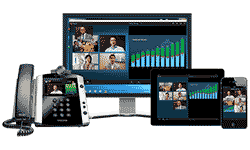 With Cloud AXIS® you can invite mobile/tablet users, laptop users, and desktop users making it easy to extend video collaborative experiences anytime, anywhere. YipTel provides the highest levels of encryption, allowing you to communicate in a safe and secured environment. YipTel is HIPAA compliant and offers the perfect solution for medical offices looking to provide billable personal interactions with their clients. 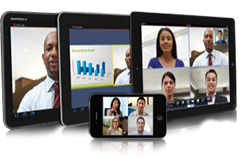 YipTel delivers static Virtual Meeting Rooms that include unlimited access with the option to upgrade to Cloud Axis. Polycom RealPresence® Cloud AXIS® Suite lets you easily arrange future meetings by automatically sending emails and calendar invitations, including a web link for simple click-to-connect convenience. Comprehensive host control features include high resolution content sharing that can also be initiated by anyone in the meeting; along with group chat. Oftentimes, the physician and the care provider’s staff will want to augment their usual in-the-home visits with some regular “virtual visits” with the patient to more frequently monitor health status. These patients (and their families) feel more secure knowing they have the ability to press a single button on a video phone to set up a call with the patient’s care provider. Physician is an advanced TeleHealth standard user with his desktop softphone for communication with his patient. Physician uses his existing office internet service for connectivity. 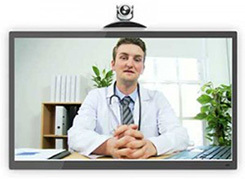 Patient is an advanced TeleHealth standard user with hardware. with a video phone in his home. Patient uses their home DSL/Cable service for connectivity. In this situation the healthcare provider will schedule regular “virtual visits” with some of his patients. Patient’s family has requested to be included in these virtual visits. Similar to other scenarios, remote mental health consultations could take place between hospitals, clinics, homes and much more. A Mental health practice has a 5 port video bridge. A Physician is an advanced TeleHealth standard user with his desktop softphone for communication with his patient. The Patient will log into the video bridge from his home computer. 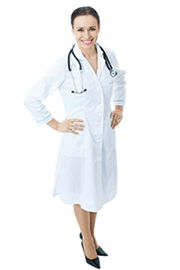 This independent but extended group of healthcare professionals is aligned to jointly serve a population. To achieve the continuum of care that is expected of this model, frequent collaboration and communication is required to deliver improved patient outcomes at a lower cost. The hospital has a 5 port or a 10 port video bridge. Hospital physicians will invite up to 4 or 9 participants for a video meeting. Participants will join using any video capable device that has access to the Internet. Physicians and the extended team can have virtual visits with the patients who can be released from the hospital with tablets/video phones, or the patients can use their own video capable devices. The YipTel Desktop Client delivers integrated video calling from your computer. This allows your staff to efficiently communicate between each other over securely encrypted channels. This is available as part of our Advanced TeleHealth User feature set. The software easily integrates with existing webcams, provisioned IP video phones, and other industry standard end points. YipTel’s powerful video platform also extends to your mobile devices with video calling integrated directly in to your mobile smartphone or tablet device. Such devices can integrate reliably and securely into point-to-point conversations or within HIPAA compliant video conferencing on the Cloud AXIS service. Now that we have video capabilities on the desktop and mobile devices it only makes sense to leverage those to deliver Video Voice messages. You can then retrieve these from your YipTel Client and mobile applications for a true unified communications experience. 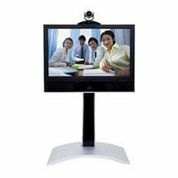 Beyond point to point video calling are YipTel Video Conferencing services that allow you to connect to powerful video conferencing solutions for multi-site and multi-party video calling as well as conference room solutions. These powerful, secure tools have the capacity to integrate into existing proprietary equipment that establishments may already be utilizing. The YipTel TeleHealth Meeting Suite allows Doctors, Therapists, and other specialists to conveniently communicate with their patients and coworkers. CloudCommWorks.com is a division of Virtual Graffiti Inc, an authorized YipTel reseller.